Is the climate warming? Is the hydrological cycle intensifying? Is the climate becoming more variable or extreme? Is the chemical composition of the atmosphere changing? Is the solar irradiance constant? Answers to these questions are fundamental to understanding, predicting, and assessing climate on time scales ranging from weeks to a century. Atmospheric, oceanic, and environmental scientists have primarily relied on an ad-hoc collection of disparate environmental observational and data management systems to address these problems. But these systems were not designed to measure climate variations and, as a result, changes and variations of the earth system during the instrumental climate record is far from unequivocal. 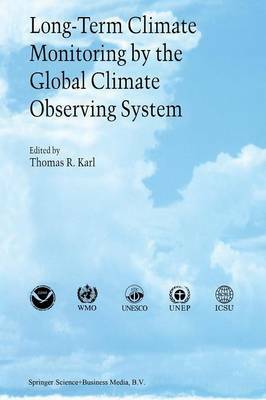 This book develops a framework from which a Global Climate Observing System, currently being discussed in international forums, can be implemented to monitor changes and variations of climate. Audience: Administrators, policy makers, professionals, graduate students, and others interested in learning how we can ensure a long-term climate record for application to national economic development and understanding ecosystem dynamics.